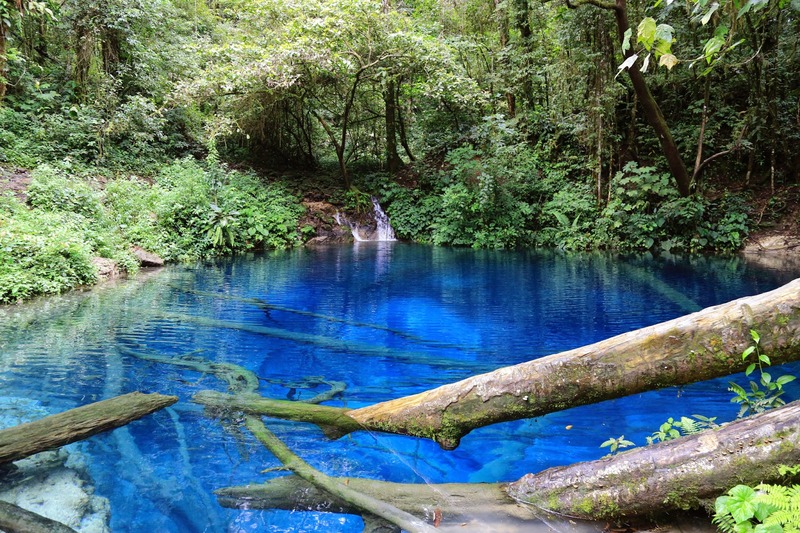 Lempur villages namely One village is located in the District of Gunung Raya southern part of Kerinci regency , Jambi province . Lempur Village also divided from one village and four villages , namely Lempur Tengah, Lempur Mudik , Lempur Hilir, Desa Baru Lempur and Manjuto Lempur. Lempur Village Also still have a culture Typical local as Lembaga Adat still Chowder, from 5 villages are under the auspices of the institute customary namely Indigenous Institute Lekuk 50 Tumbi Lempur which is led by Ten Depati and Sixes Ninik Mamak the pinnacle of leadership is Depati Court. 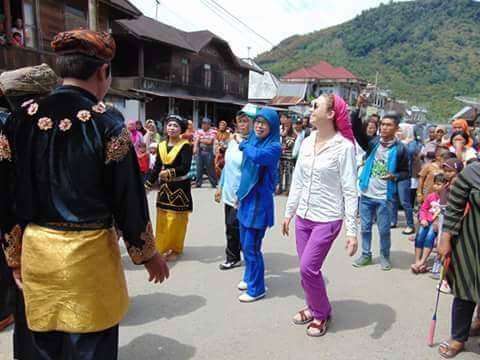 Arriving in the Lempur Village, you’ll be watching “Tauh Dance” as welcoming dance by community and then you are also joining the dance accompanied by the children in the village. After that, you have to go to the homestay and ready for dinner. Dinner will be served by the homestay’s owner. In the homestay you can join and get interaction with the owner. After breakfast participants will be taken around the village Lempur to see the activities of citizens Lempur in the morning for 1 hour. 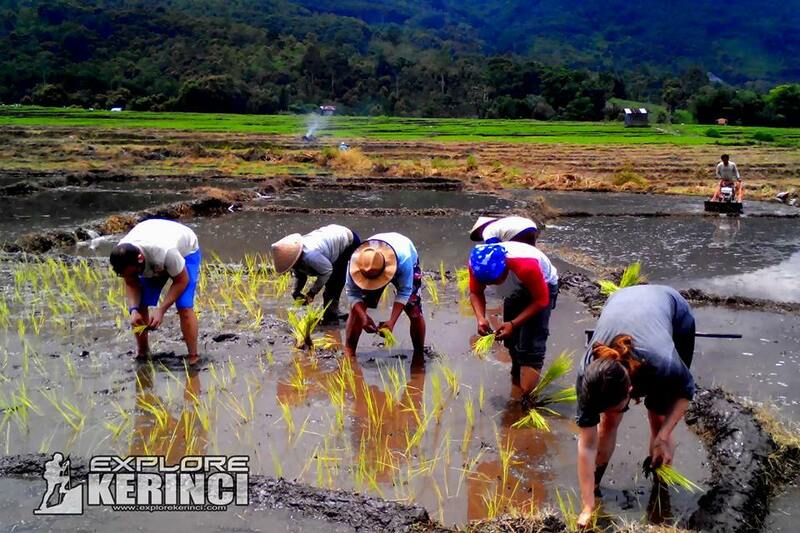 After enjoying the village atmosphere in the morning, participants will be brought again to the rice fields to study the process of planting or harvesting rice payo. Payo is a typical rice paddy Lempur people aged 9 months until the harvest, rice payo is very tasty and fragrant and the price is quite expensive compared with ordinary rice which ranges from 13-15 thousand / kilogram. Participants will be taken to visit a local community garden for lunch. After lunch the participants in the invite to view, learn and harvest of agricultural produce (vegetables – vegetables) to take home and cook in Home Stay respectively – each as dinner. 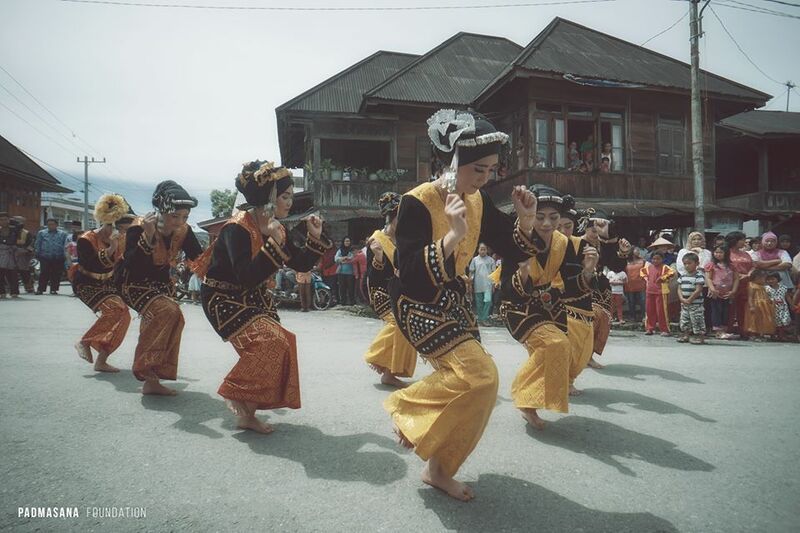 Afterwards, participants will be taken to Lake Lingkat within 10 minutes of settlement villagers Lempur. Arriving at the lake lingkat the tour participants will be taken to see Pockets Semar and also the harvesting process pitcher who will cook at home stay each – each. Because the pitcher is the food (typical culinary community Lempur). 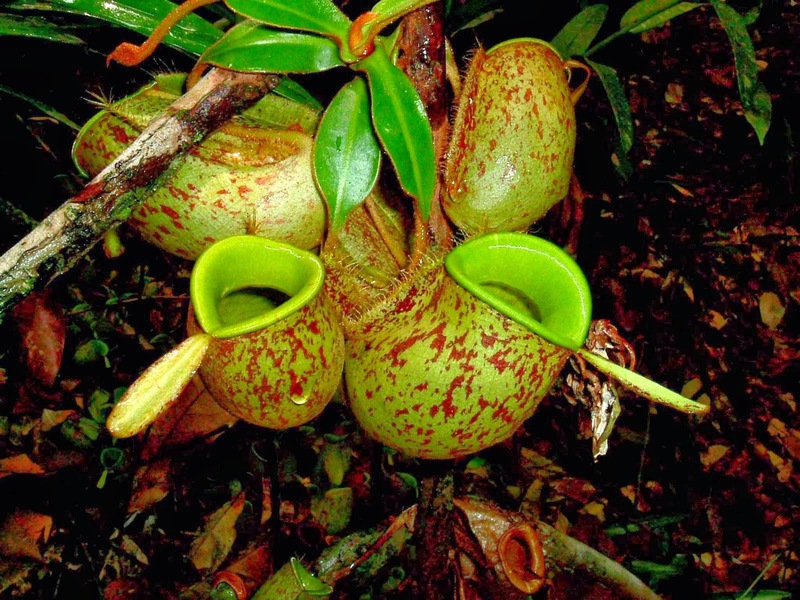 After participants recognize Nepenthes popular varieties and harvesting process, participants will be taken for a short hiking around the lake lingkat as he greeted the evening atmosphere on the lake lingkat or participants can also use rafts to surround the lake lingkat. After a few hours visiting the lake lingkat and participants will be brought back to the homestay each – each and come cook with home stay owners of the results of harvesting vegetables and a pitcher to be made dinner. Break…. After breakfast, participants will gather in the place prepared by taxi to breefing taco short of the lake . After conducting a brief breefing , participants will be brought to the lake Kaco within about 2 hours walking . On the way to the lake Kaco participants will pass through the community gardens, indigenous forests and Kerinci Seblat National Park ( TNKS ) . 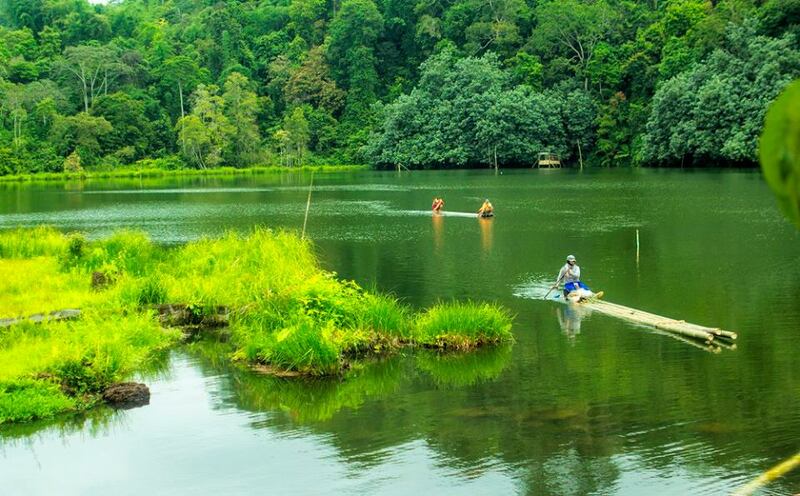 In the journey towards Lake Kaco participants also can see the variety of birds and other animals such as apes , monkeys , gibbons and more.